The actress and comedian recently shared more about her conversation with Harvey, calling it a discussion that was "long overdue." 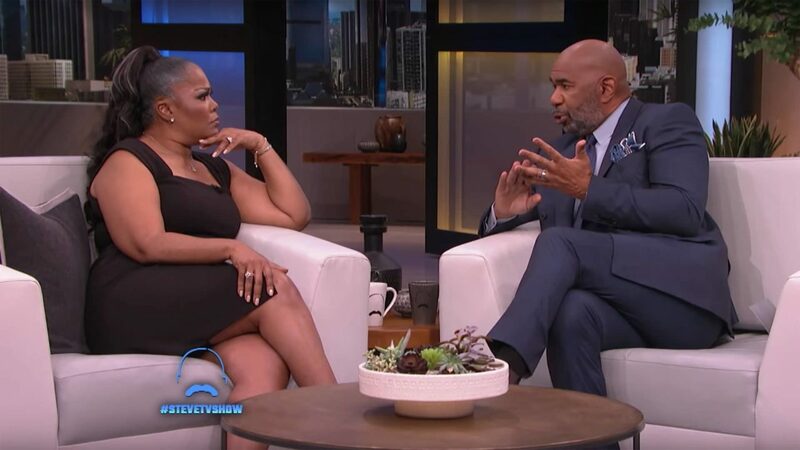 Comedian and actress Mo’Nique says “a whole lot” was cut from her heated discussion with Steve Harvey. Appearing on BuzzFeed’s AM to DM, the comedienne confessed that their conversation had long needed to happen. “It was two friends sitting down having an open and honest conversation that was long overdue. There was a whole lot that was cut out. It was a conversation that had to be had,” she said. Along with discussing Mo’Nique’s fall out with Hollywood heavyweights, including Oprah Winfrey, Tyler Perry and Lee Daniels, Harvey said he disagreed with how the comedienne went about asking Netflix for a pay increase after the steaming service offered her $500,000 for a comedy special. In comparison, Amy Schumer was reportedly offered $11 million. Mo’Nique told ESSENCE earlier this year that she learned “patience” from sounding the alarm on the lack of pay equity in Hollywood, especially for Black women, because she “understood” where many were coming from.